"Wayne & Donna Gunther are living the American Dream. In the early ‘90s, they decided to give up their lucrative, fast-paced jobs in fashion and photography to drive 30,000 miles all over the country, collecting artifacts of a certain aesthetic and vision along the way. 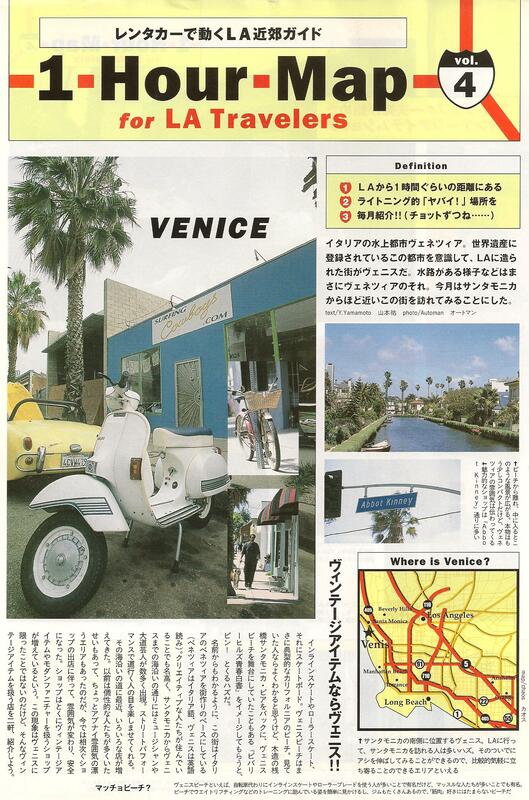 They ended up in Venice – Abbot Kinney specifically, which was at that point still an artist in residence community. Surfing Cowboys was born of their travels and eclectic love for California and surf culture, it is essentially a museum of sorts where everything is for sale. Before the internet and eBay, this was the spot to get the rare gems you were looking for, or to find creative inspiration from relics of the past. Once an iconic landmark of Abbot Kinney’s local character, the shop has since moved a bit further east on Venice Boulevard." 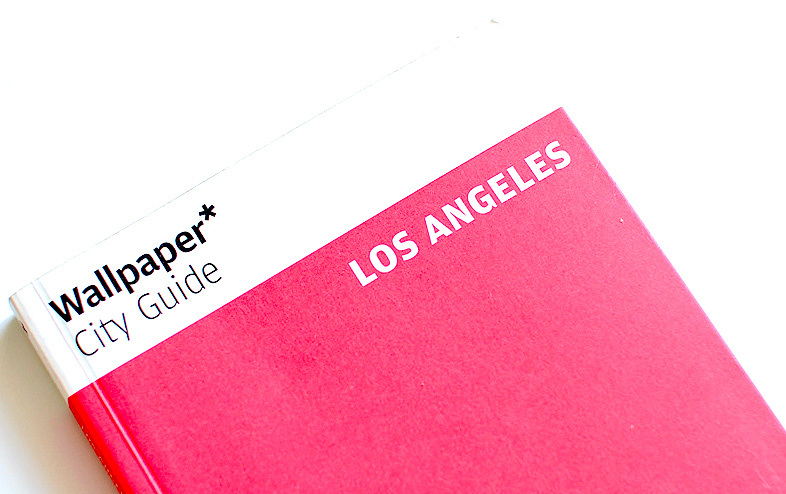 Indoek describes their Venice issue as the first in a series of large format, newsprint city guides which highlight their favorite surf towns around the globe. 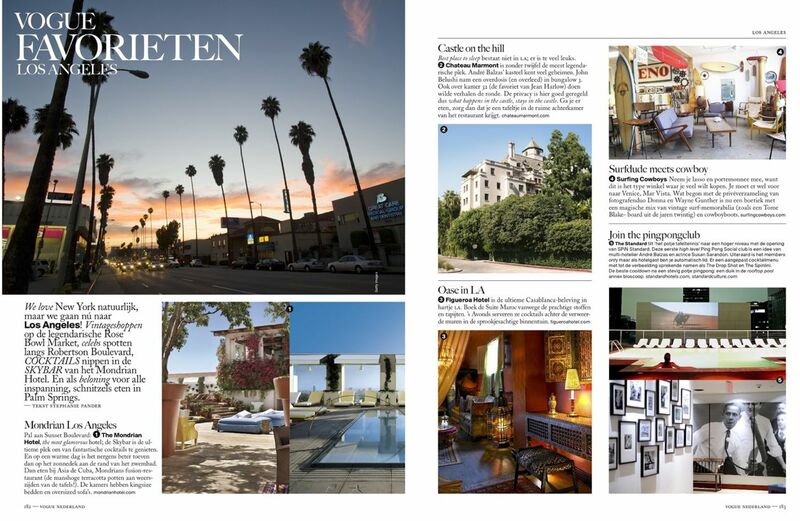 The Venice issue is 84 pages of unique editorial content featuring interviews with many of the Local Venice Icons... 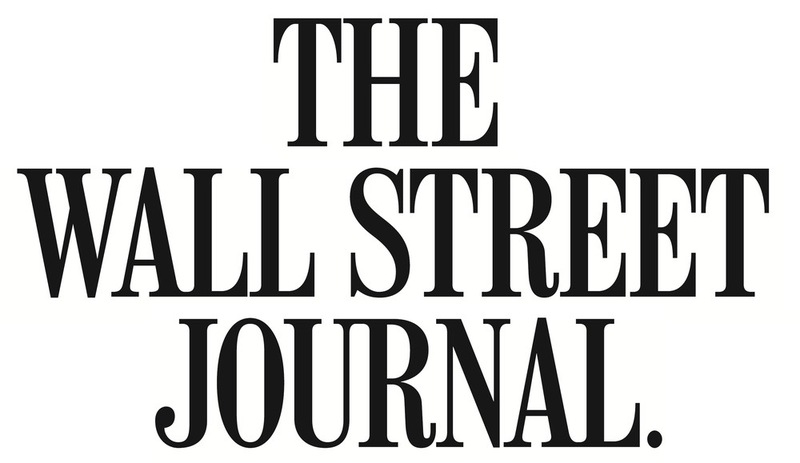 Check out the article and / or purchase a copy. 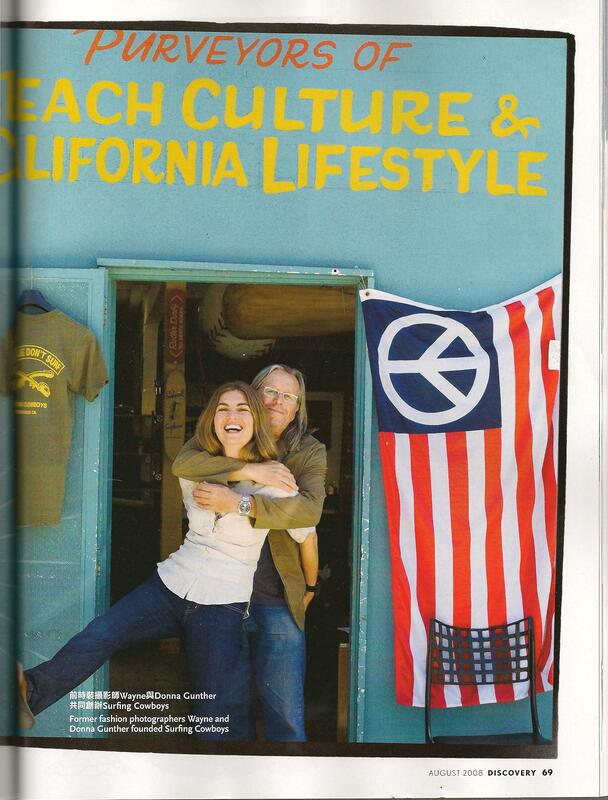 "Wayne and Donna Gunther were pioneers down near the beach on Abbot Kinney over a decade ago and now they are opening up the already trendy end of Mar Vista with their Venice Blvd emporium. 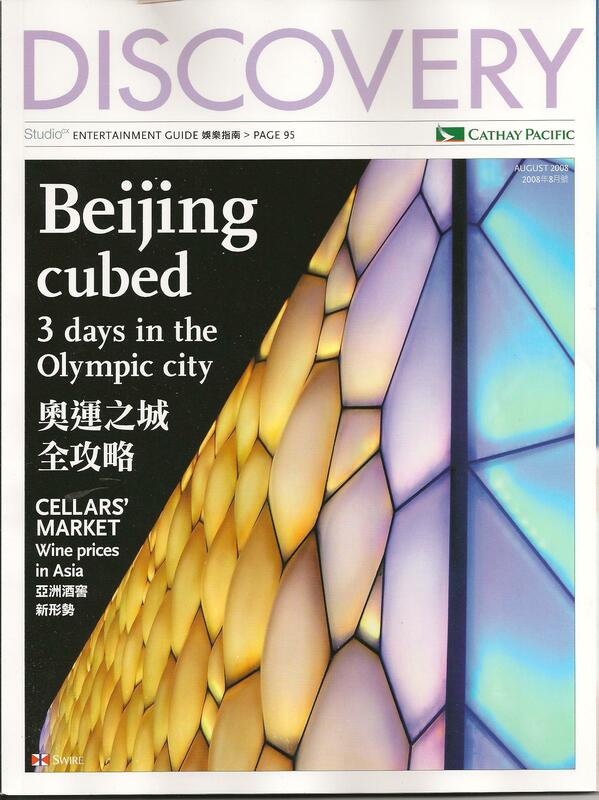 Many cultural commentators have observed that shops are the new museums and in this case they are totally correct. 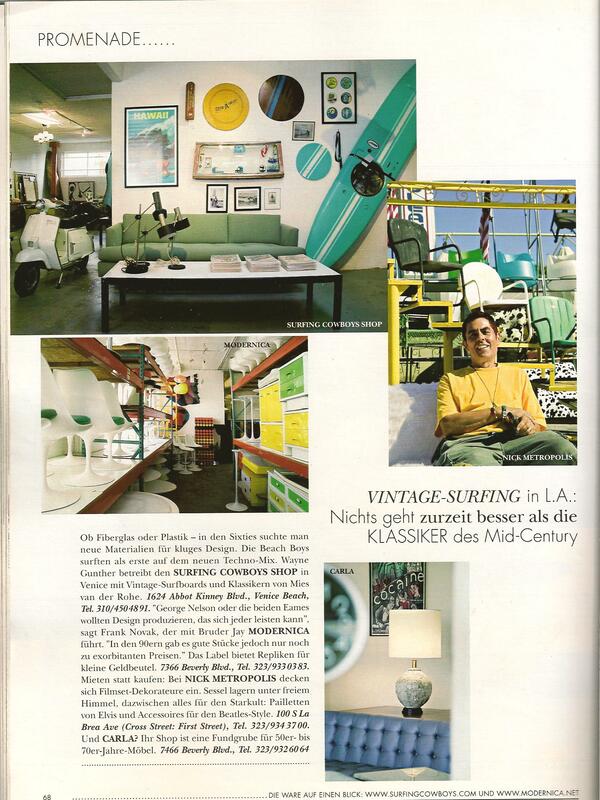 The Gunther's space is perhaps the most important display of historical objects that relate to surfing in the world. It's not so much the numbers, as real museums often have a glut of old surfboards, it's the diversity that makes this place unique. 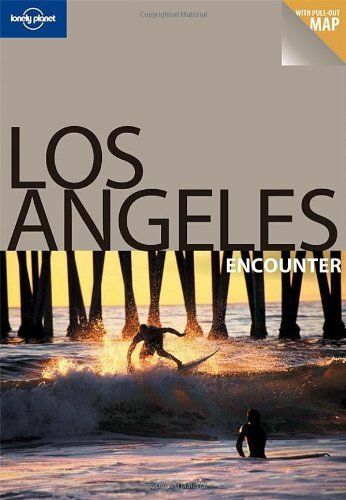 If you are ever in Los Angeles and interested in surfing culture, you can't miss this." This Men's File / Clutch issue is an outstanding read cover to cover (as are all their issues)- so get over to your local International newsstand or savvy boutique and pick one up or order a copy online. "It's retro Venice chic. I always find something. The surfboards! Love! It's the equivalent of hanging art.". 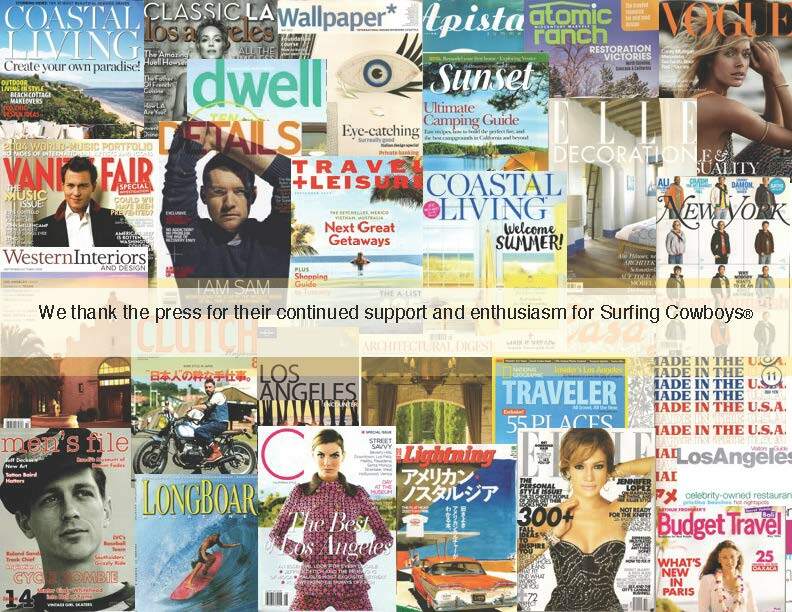 We, of course, were also thrilled to see the full page image of her against our colorful surfboard collection. 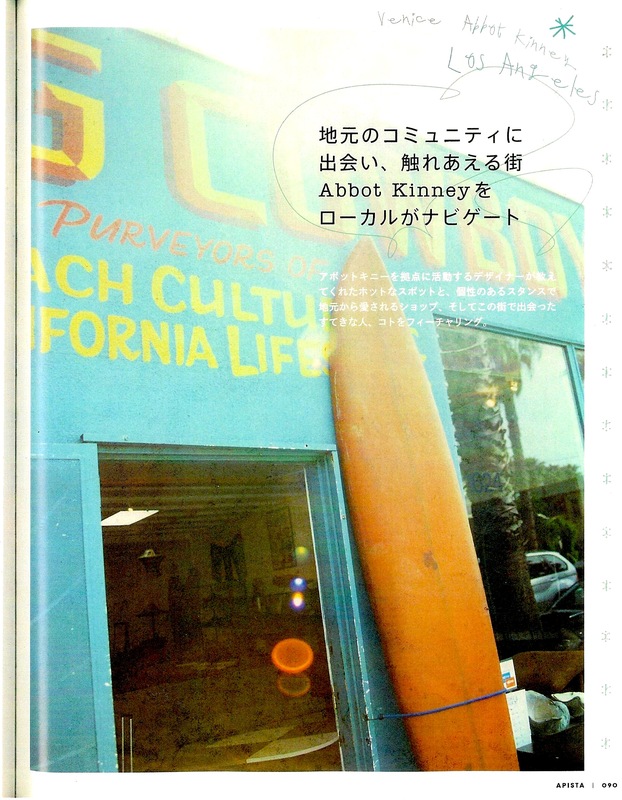 The Japanese publication: California Style Magazine offers an in-depth exploration of California Culture to a Japanese audience. 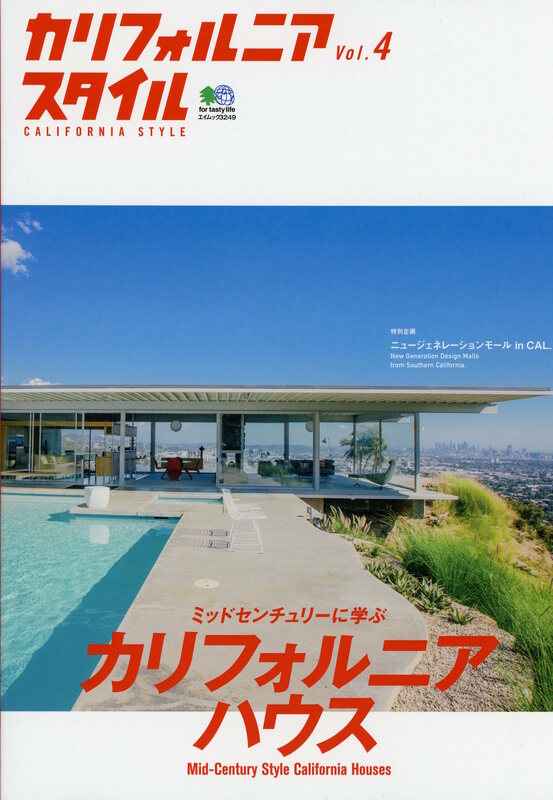 Full of gorgeous photographs and off-the-radar spots to explore every issue is a glimpse of California Popular Culture, Japanese Style.... We're thrilled to have been beautifully featured in this stunning publication. 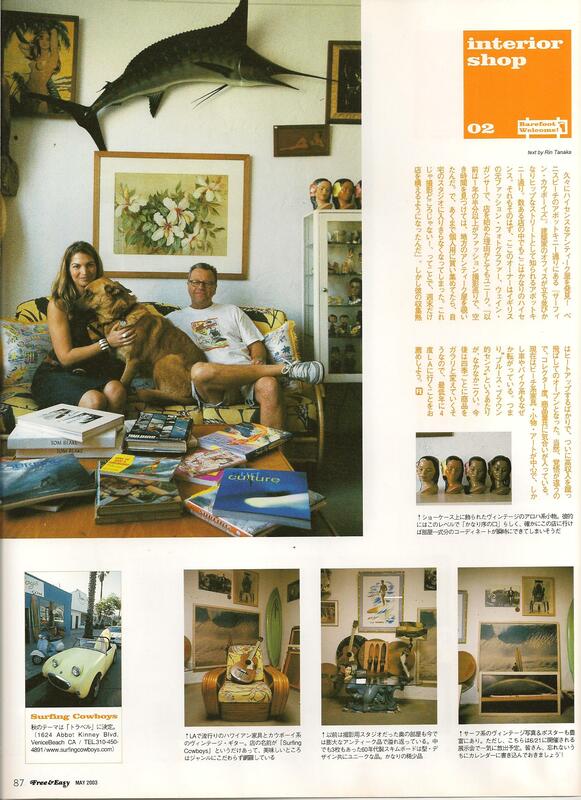 One of the first magazines to reach out after we moved off Abbot Kinney Blvd to our current Mar Vista location was the Japanese magazine ML Modern Living. 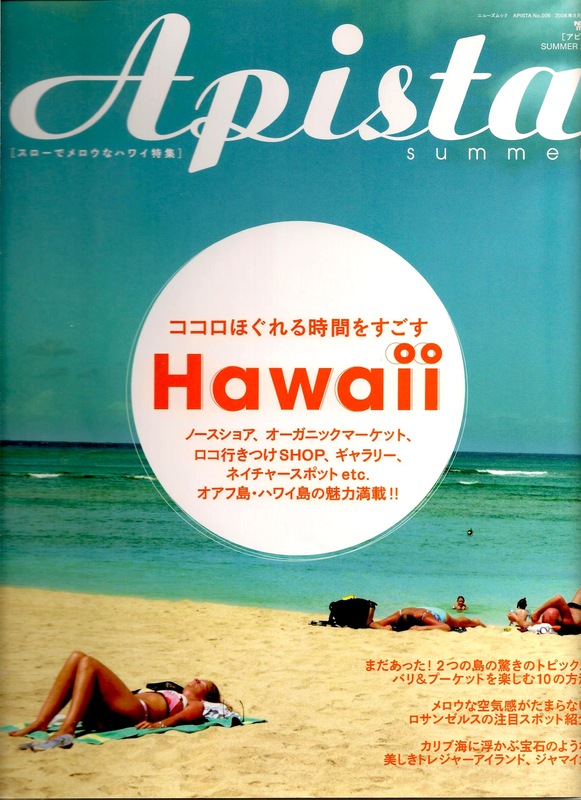 When we first read their e-mail request we couldn't help smile to one another - Japanese publications were the first to feature us in our old Abbot Kinney location they're always leaders when it comes to searching out trends and style - it did our hearts good, especially when we saw what a beautiful spread they gave us. "Surfing Cowboys is HQ for California dreaming. Husband-and-wife team, Wayne and Donna Gunther, opened their mini-shrine to the beach in 1998 and it's still one of the best spots on the strip. Vintage surf culture paraphernalia mingles with mid-century modern furnishings and retro Hawaiian collectibles for the ultimate seaside pad." "Giddy-up bro. Bring your lasso and your wallet to the funkiest purveyor of mid-century furniture and surf memorabilia this side of, well, anywhere. 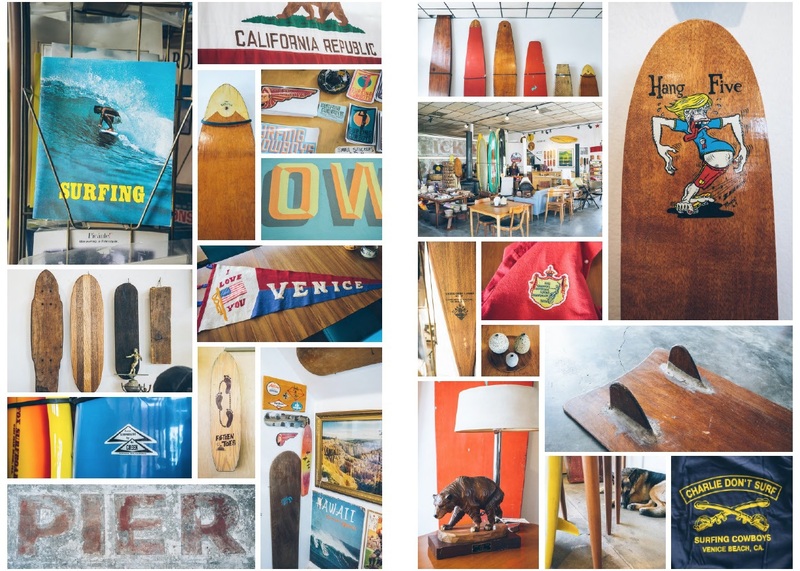 Filled with vintage surfboards and skateboards, retro but comfy couches, historic beach photos and gently worn cowboy boots, it has a friendly staff who are happy to show you around the eclectic mix. Just don't hem and haw too long: turnover is quick." 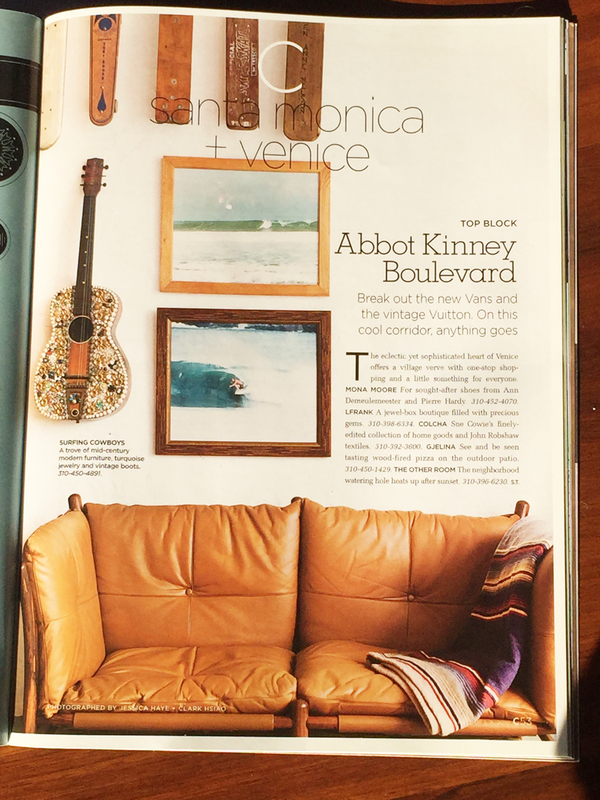 "One of the shops that pre-dates the rampaging gentrification of Abbot Kinney is Surfing Cowboys, a magical mix of interesting mid-century furniture and ephemera, high quality vintage surf memorabilia- including a 1920s Tom Blake board that could be in a museum- skateboards and rare books. It's run by former fashion photographers Donna and Wayne Gunther, who decided to take the stuff they've been collecting over the years, and turned it into a business, and a way of getting off the road. They're getting more interested in, and attracting interest for, their sinewy, 1960's Californian artisan one-off wooden pieces." When we granted the young (possibly college age?) extremely intelligent and vivacious red head, Jennifer Brandt Taylor, accompanied back then by her father, permission to photograph our shop and an interview we knew she had a project in mind but had no idea that it would be as impressive - or thorough as her VINTAGE LA publication was when it came off the press. 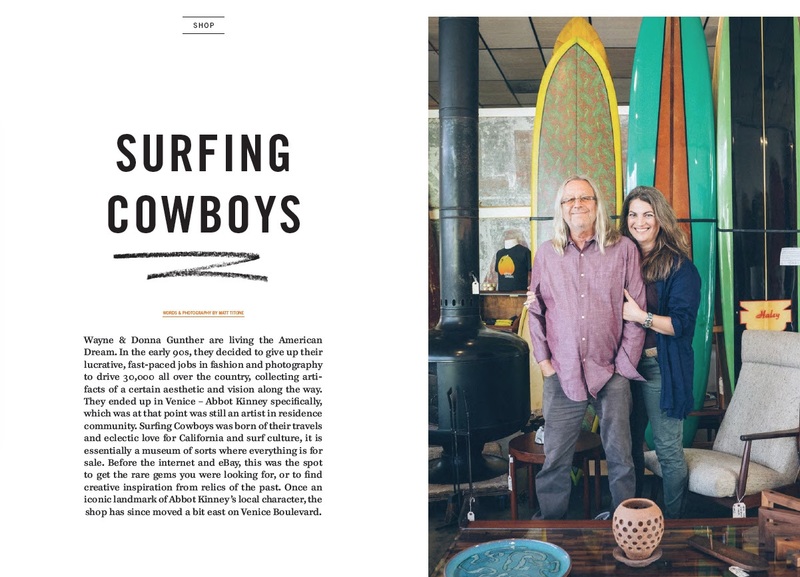 We were floored and flattered, when we read the review she gave us and Surfing Cowboys.... "Donna and Wayne Gunther are the uber-cool married owners of this bitchin' home decor shop. They first met when he was a fashion photographer and she was an art director for Elite Model Mgmt. As they worked and traveled together, they found they shared a common love for "junking" and would sneak off after shoots to look for undiscovered thrift stores. sick of the drama, they soon dropped out of the fashion world and, thankfully, opened this awesome shop. They are now the greatest purveyors of vintage beach culture this side of sunny California. 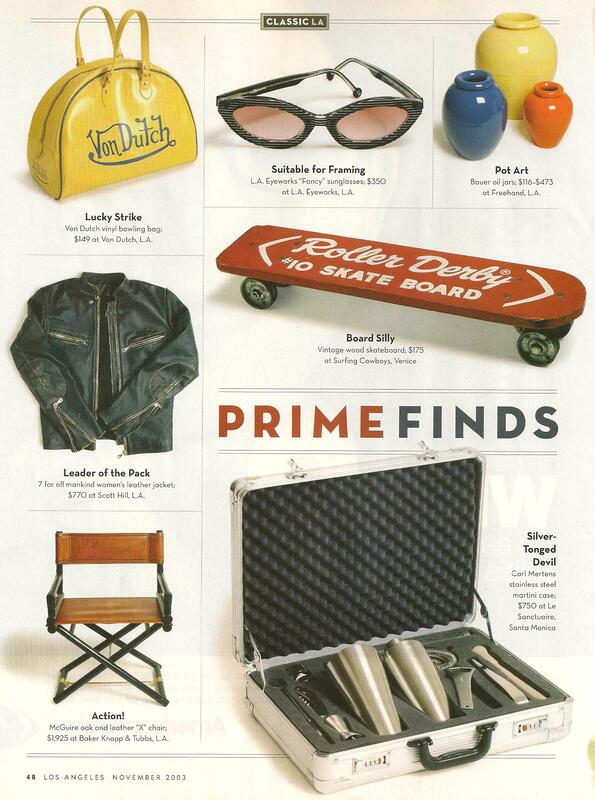 You can buy enough midcentury accoutrements to deck out any pad in authentic surf style. Their genius lies in that they not only know how to mix different eras together in a room, but they specialize in mixing West Coast with European style - like placing '60s California pottery atop a Danish coffee table. They have superb eyes for the unusual, including in their mix a 1960's Ducati Brio Scooter, a Tom Blake paddle board from the 1930's and a giant filter from a Boeing jet that would make smashing wall art. They also have atomic-age coffee shop-style swag lights, vintage Hawaiian surf photographs professionally framed and matted, Italian film and advertising posters, mosaic tile tables, vintage 60's surfboards, and freestanding, metal, wood-burning fireplaces." 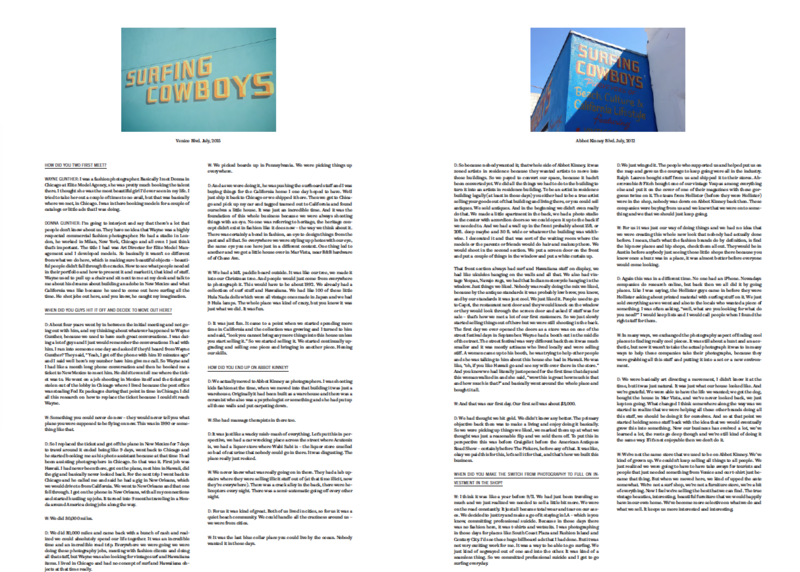 2010 Surfing Cowboys, the featured opener to C Magazine's Best of Los Angeles with a full page spectacular photo of Surfing Cowboys AK Store. "A favorite classic is Surfing Cowboys. An eclectic store and difficult to define, which combines a beautiful selection of vintage furniture items, folk and, yes, surfboards. Space is so great that the ride can be further exploited as a visit to a design gallery." 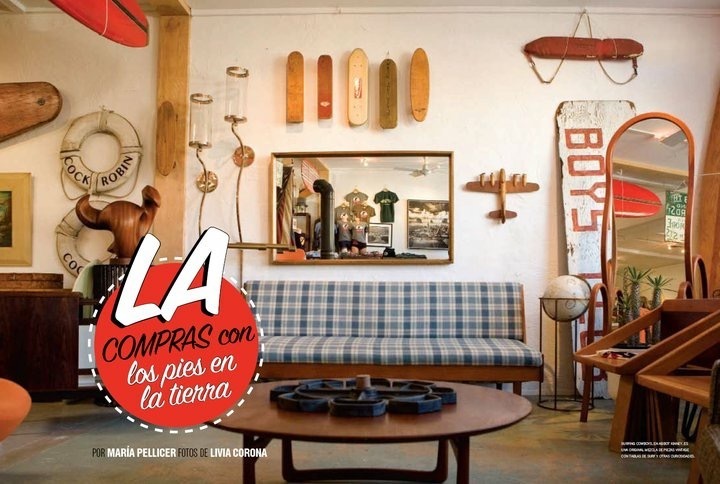 "Un clásico favorito es Surfing Cowboys, una tienda ecléctica y difícil de definir, que combina una selección hermosa de muebles vintage con artículos folk y, sí, tablas de surf. El espacio es tan grande que el paseo puede aprovecharse más como visita a una galería de diseño." In what stores can you always find your look? 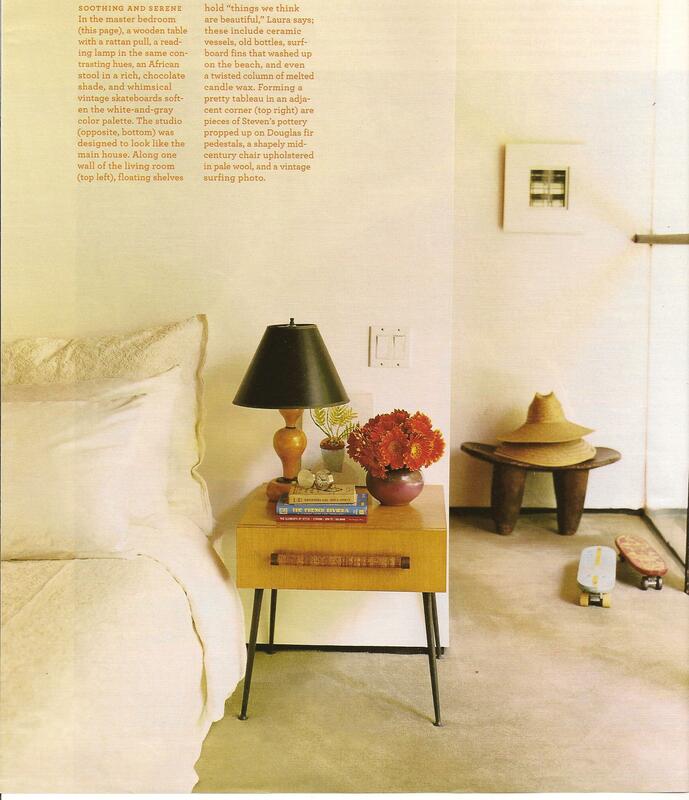 Erin Wasson: "Surfing Cowboys in Venice beach for midcentury furniture and vintage surf and skate pieces. 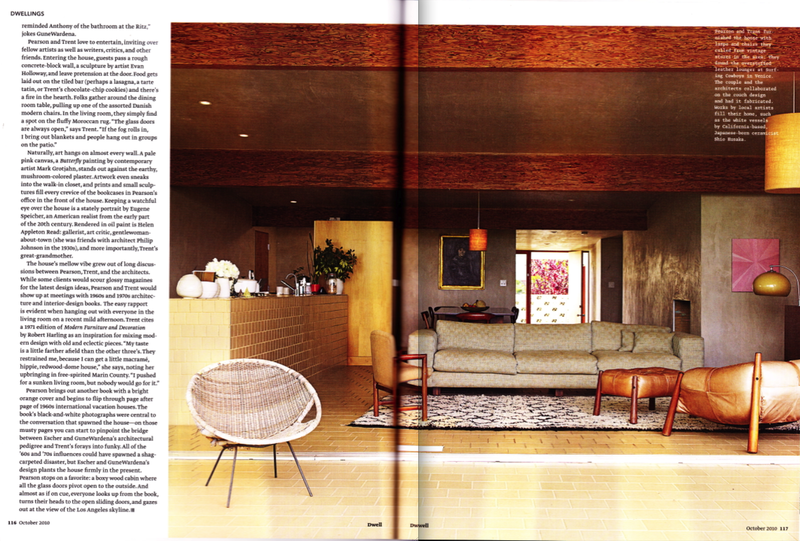 My homes are a glimpse into my personality." Some of our greatest Surfing Cowboys enthusiasts are German. One summer a visiting couple on their way to drive up the coast fell in love with the longest of the longboards and the heaviest of the burl wood tables. We had a lovely chat, offered some tips to navigate the Coastline, exchanged numbers and off they went. Less then a week later we received a call from a pay phone in Big Sur. They drove the coast and realized they had to take a piece of it home. So we boxed up the board, crated the table and followed them to the Lufthansa Airlines Terminal - they took them home on the plane!!!!! 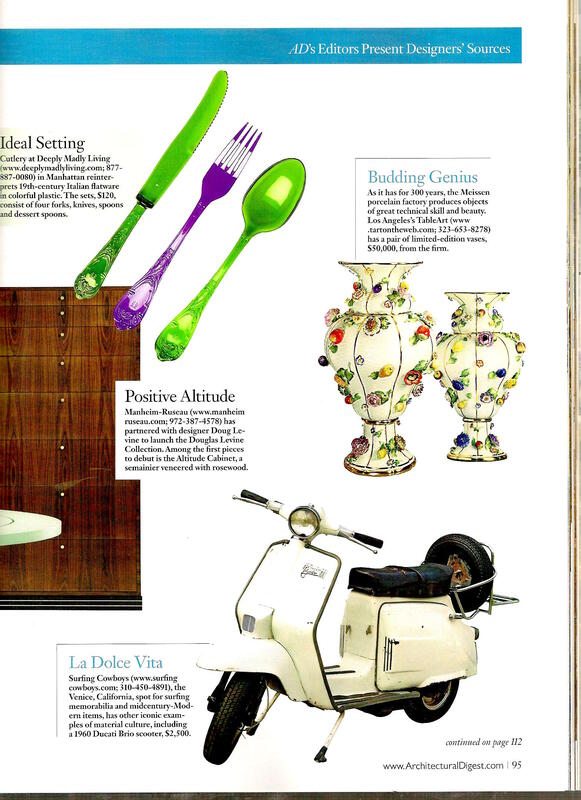 We could hardly believe how many calls we received when Architectural Digest published an image of our Ducati Brio Scooter. 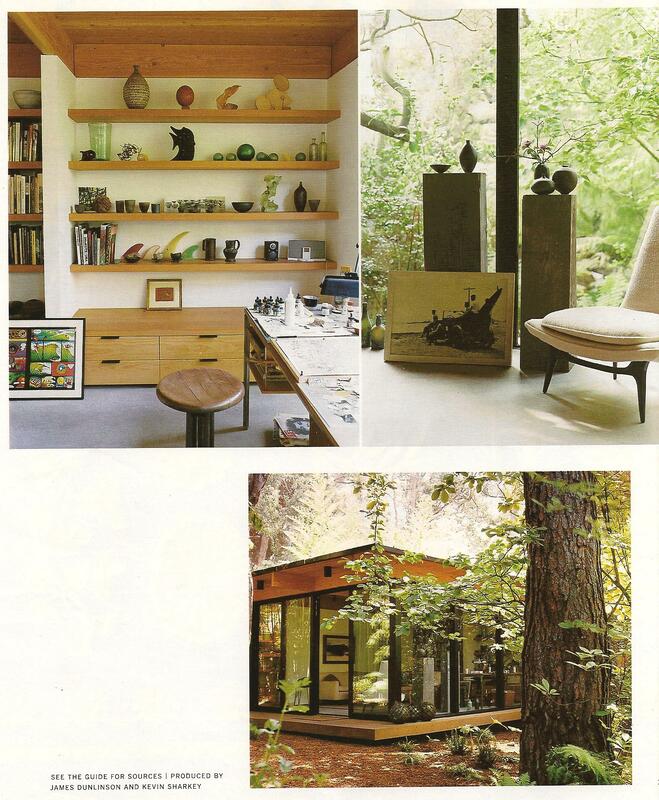 It ultimately sold to a collector who saw it in the magazine and called us. "La Dolce Vita Surfing Cowboys, the Venice California spot for surfing memorabilia and midcentury-Modern items, has other iconic examples of material culture, including this Ducati Brio." 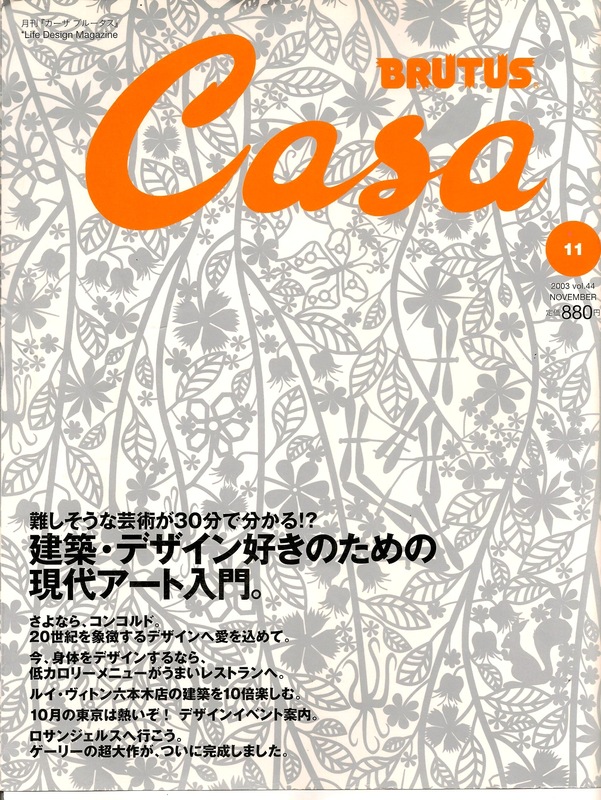 The highly respected Japanese home decor magazine BRUTUS CASA embraced a bit of humor and spirit when they included these fun-loving colorful beach culture glimpses of our range. "Surfing Cowboys has everything a dude could want. 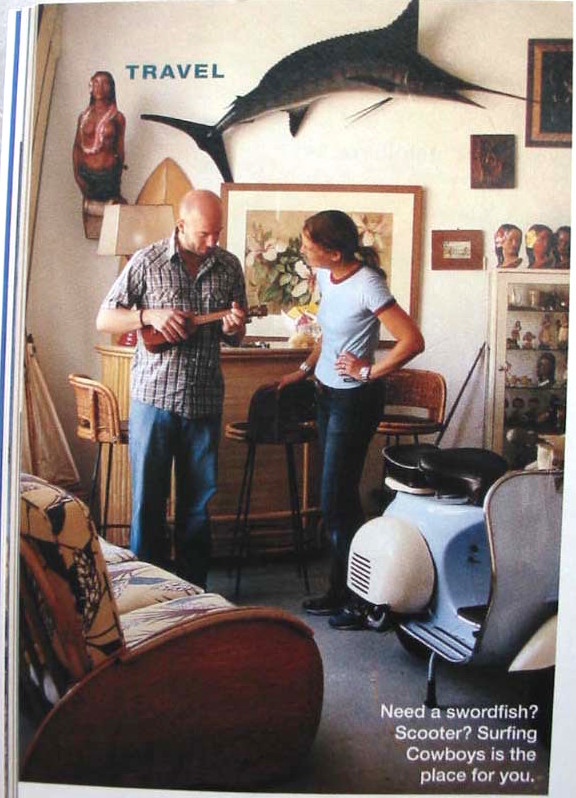 In 1999, former fashion photographers Wayne and Donna Gunther began turning their studio, where they also lived, into this shop, stocking it with collectibles, mid-century furniture and art. 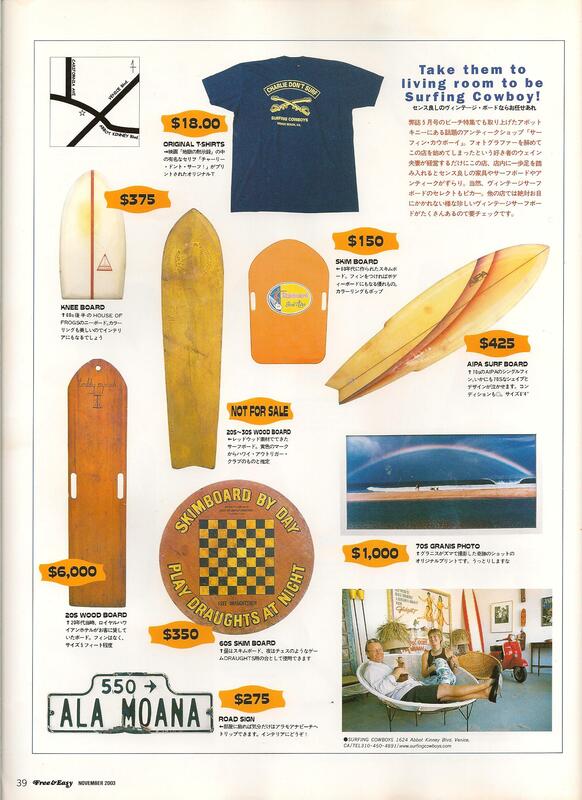 Antique surfboards, rough-hewn wooden tables, and rare hula-girl figurines can cost upward of $1000, but there are also plenty of reasonably priced mementos, such as vintage surf posters (from $25) and the store's popular CHARLIE DON'T SURF T-shirts, a reference to Apocalypse Now." We couldn't have said it better! Thanks! they are the artists of being alive." 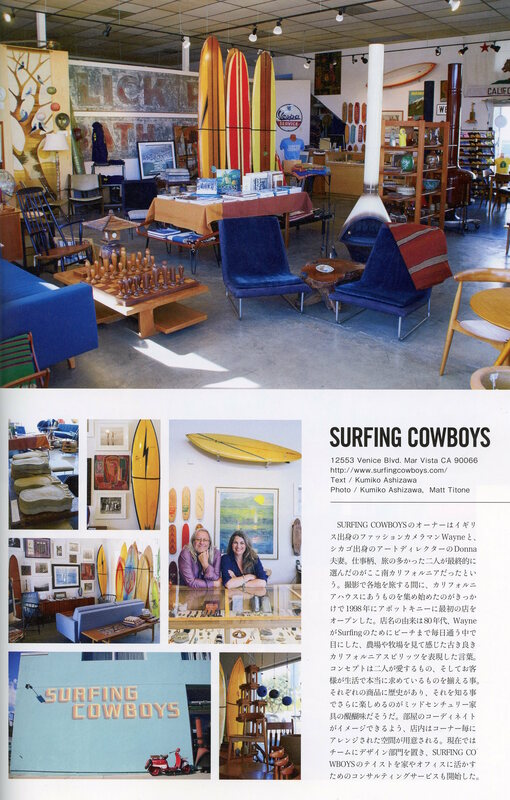 "Surfing Cowboys, a retro furniture store filled with unique objects paying tribute to surf and skate culture. You'll find old surfboards... mid-century modern furniture and plenty of other unique treasures. The owners source and sell only the best vintage pieces." "...every wannabe surfer's favorite furniture store, Surfing Cowboys." on the cover of New York magazine. 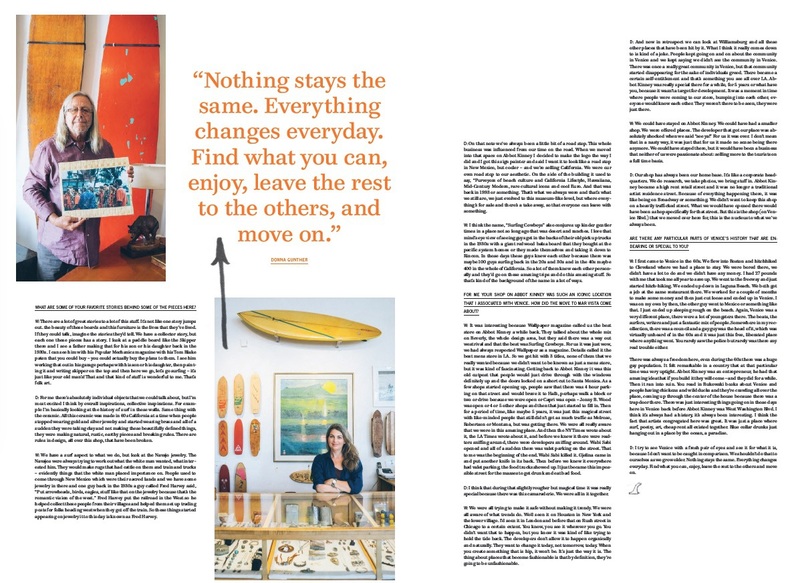 "Donna and Wayne Gunther, fashion photographers turned collectors of surf memorabilia and Hawaiiana, are always on the hunt for rare-and rad-surfing posters, vintage boards and related items like large macrame wall hangings. The Gunthers also showcase mid-century furniture and rustic-modern pieces by California designers from the '60's and '70's, whose work, they say, is as important as anything produced in Denmark from that time." 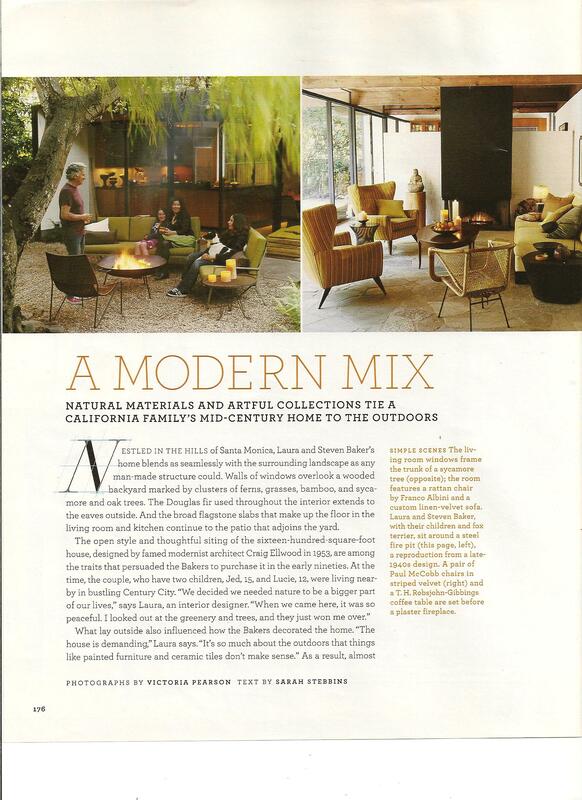 Martha Stewart Living ran a five page spread featuring the Rustic Canyon home of our customers Laura and Steven Baker. 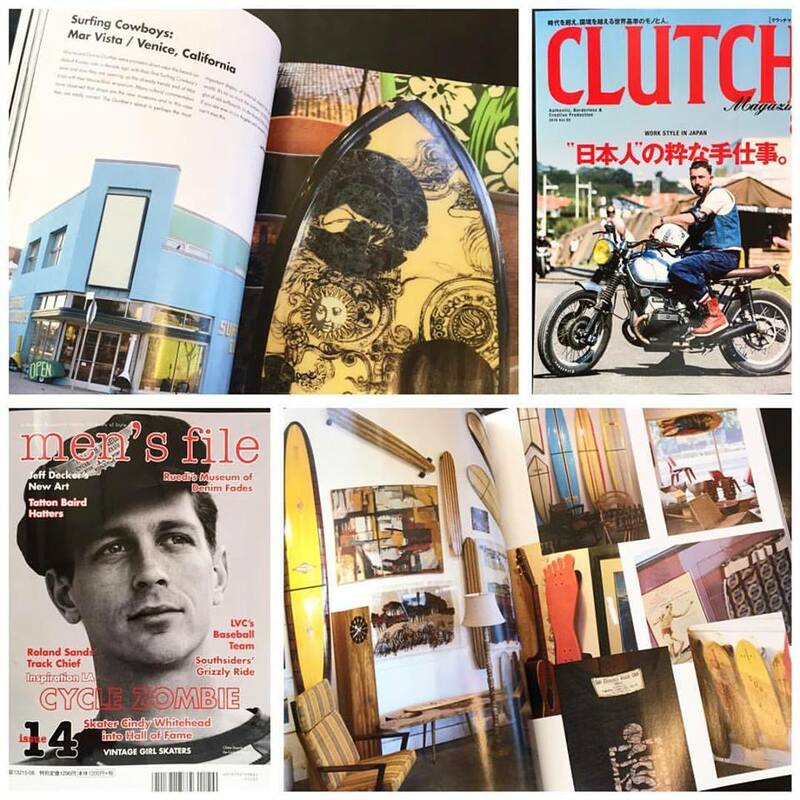 We were thrilled to see that every room featured furniture, surf photos, fins and skateboards sourced from our shop! 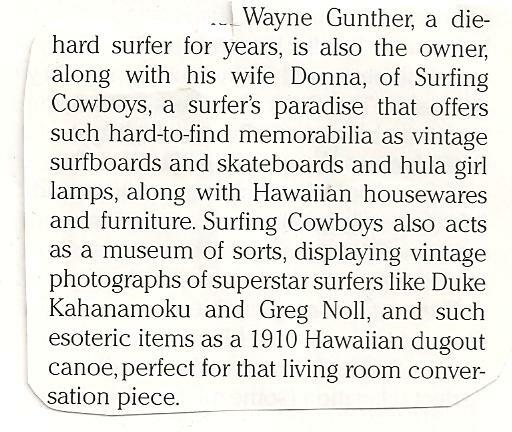 "Wayne Gunther... with wife, Donna, owns Surfing Cowboys, a retro furniture store. "The shop really mixes it up: vintage surfboards, Italian film posters, mid-century European furniture and collectibles, and more." "Further Propelling Venice's easygoing attitude is Surfing Cowboys, with it's colorful mix of Hawaiiana and funky vintage items." 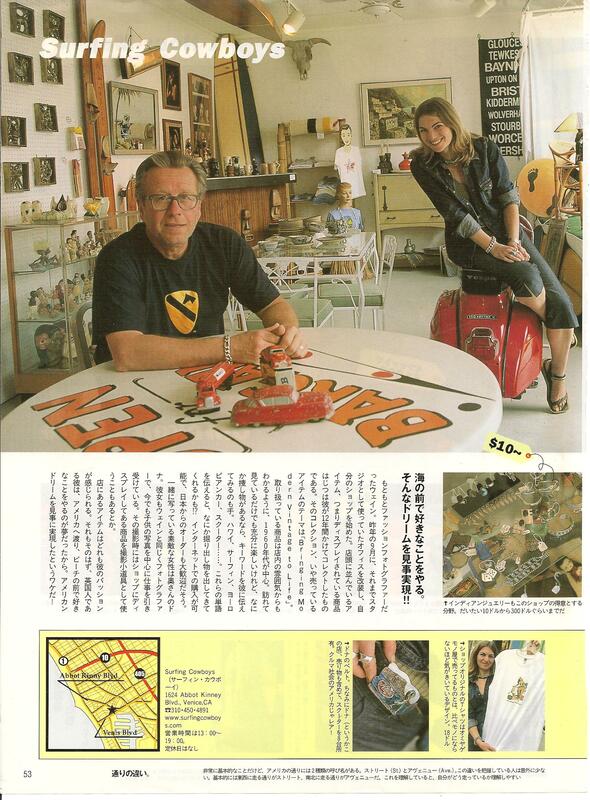 featured our shop numerous times over the years.